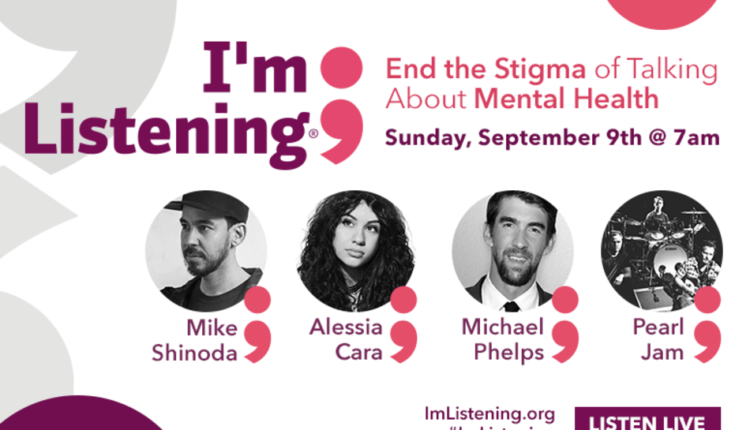 In an incredible effort to promote mental health awareness and suicide prevention, American media, and entertainment company Entercom announced a two-hour live commercial-free broadcast led by dozens of artists/celebrities that will highlight their own personal stories. 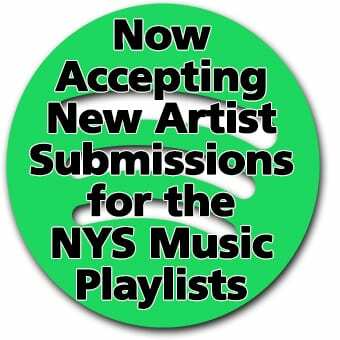 Several of the personalities participating in this event include: Celebrated Olympic swimmer Michael Phelps, actor and lead singer of 30 Seconds to Mars, Jared Leto, Linkin Park, Charlie Puth, Pearl Jam, Stone Temple Pilots, and many more. The broadcast will take place nationwide on Sunday, Sept. 9th 7:00 a.m. The event, while exciting as it may be, serves the purpose of enlightening the public that mental health issues are universal and a rising problem seen in the world today. A problem that while many seemed ashamed of, impacts people of all races and financial status and can be beaten with the right kind of help. Entercom has dedicated themselves to this cause with their own campaign called “I’m Listening” which Pat Paxton, President of Programming at Entercom, has described as: “one of our signature productions meant to save lives, while simultaneously creating awareness for this truly lethal silent threat.” Musicians hold this topic dearly to them as the industry has seen countless talented people lose their lives in their own battles with depression. Just this year, Linkin Park’s Chester Bennington shockingly committed suicide and left the world stunned but at the same time allowed the public to reflect on the condition of this individual. Someone so loved by millions of fans but still not immune from the burdens of unstable mental health. Shortly after this painful loss, bandmate Mike Shinoda opened up to fans on his solo album, “Post Traumatic” that Shinoda explained to be: “a journey out of grief and darkness – an album about healing…In most parts of the world, suicide claims more lives than war, murder and natural disasters combined. 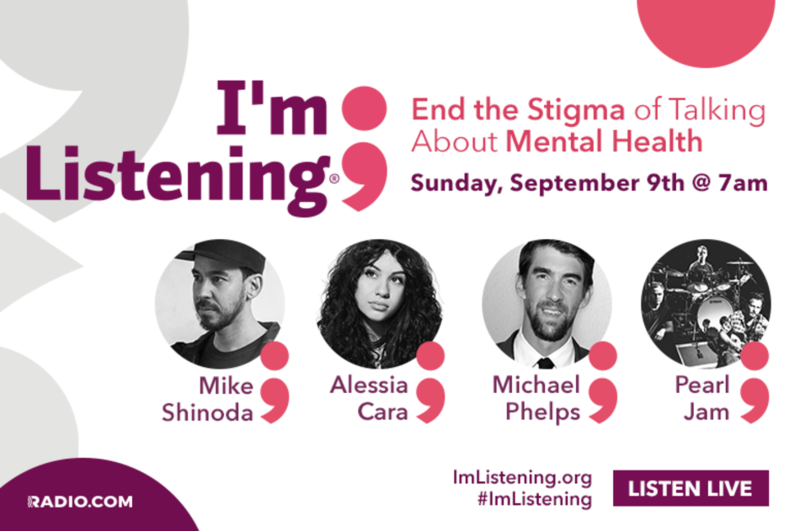 I hope that sharing my personal story, in music and conversation, helps open up the door to new discussions and awareness about mental health.” This beautiful event is yet again another example of musicians and celebrities alike understanding that as humans we all face the same challenges and that through uniting in the face of adversity, we will emerge resilient as ever.